Public artists tend to do eccentric things. But when you combine public artists with environmental activists, you get…ridiculousness. Take “Ice Watch,” public artwork currently on display in London. These public artists transported over ONE HUNDRED tons of ice from Greenland and placed them in the middle of London, so that people could watch the ice melt (and presumably ponder climate change). Who is funding this stunt? 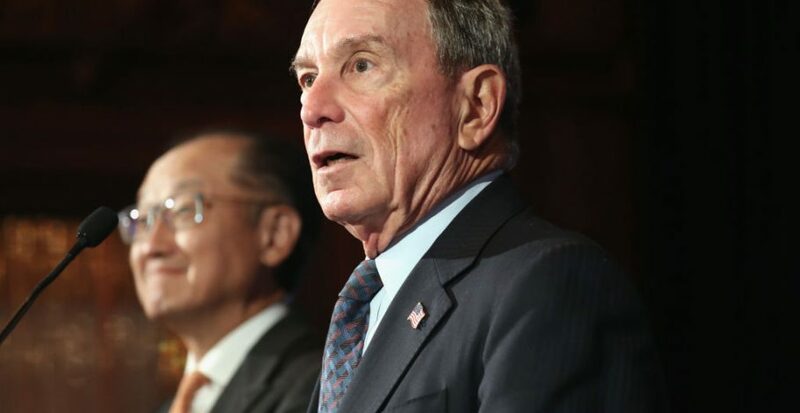 None other than likely 2020 Democratic Presidential candidate Michael Bloomberg. Bloomberg Philanthropies is funding the public artists, and the ice is on display outside Bloomberg’s European headquarters. Thank you, Michael Bloomberg and your public artists, for proving that ice melts. Not only is this “art” simply ridiculous, it’s also a complete betrayal of the environmentalists’ own beliefs, because transporting over ONE HUNDRED tons of ice from Greenland produces a lot of carbon emissions. In fact, back in 2015, these same artists pulled off a similar stunt in Paris – and they estimated then that transporting ICE from Greenland to Paris emitted 30 tons of CO2, the equivalent of 30 Paris-Greenland flights. In other words, these “environmentalists” are betraying their own cause, emitting CO2 in order to move ice across Europe.